This is my first one of these and I was really excited to receive it. I like to use it with translucent powder underneath the eyes to wipe away fall-out but you could also use it to highlight the cheekbones. 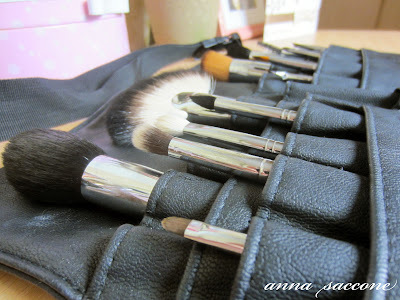 My favourite way to use this is to apply blotting powder to my t-zone. 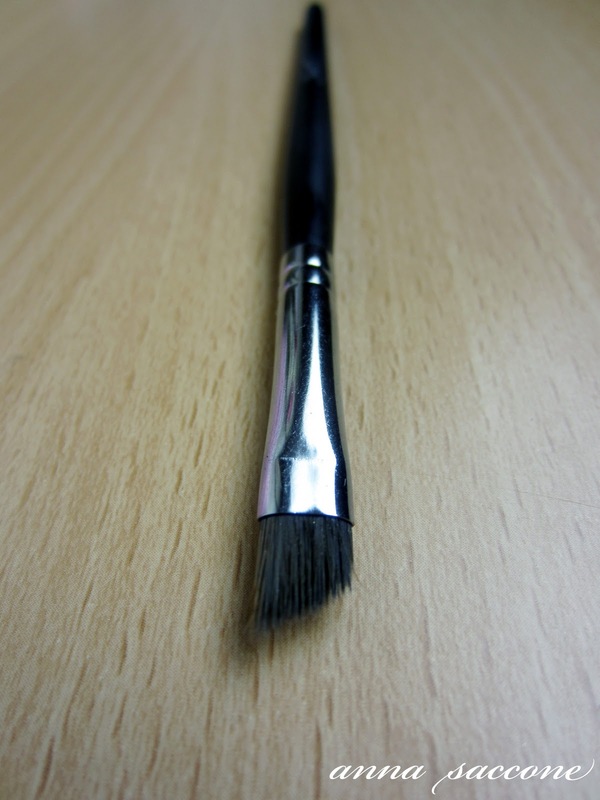 You can get a really even application and it's become my favourite all-over face brush. 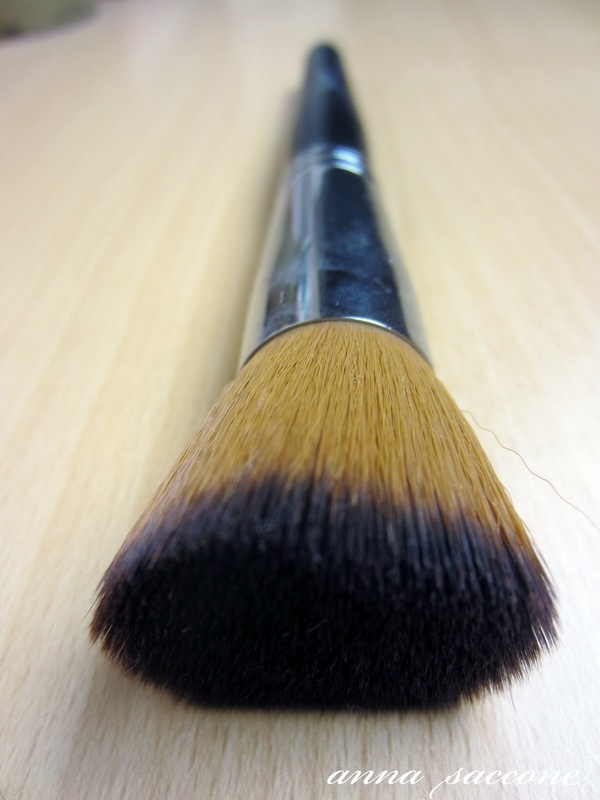 However you could also use it as a contouring brush as it has a defined tip that can be used in the hollow of the cheeks. I used this to apply highlight to my cheekbones on my wedding day, and I have been loving it ever since! 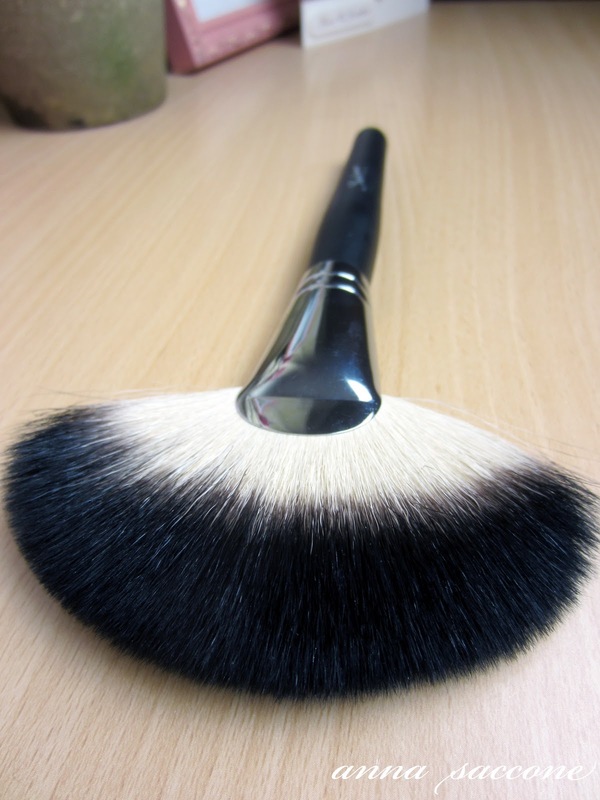 It's now a staple in my daily routine as it's smaller than a regular face brush but bigger than a fluffy eye-shadow brush. You can also use it for cream or liquid foundation as well as contouring the cheeks. Possibly my favourite of the whole collection, this gives a perfect airbrushed effect to your skin when used with cream foundation. I especially love this with my Body Shop Cream Foundation to cover acne/spots! I like this to pack on colour to my lids -- I used it to apply the gold eyeshadow in my bridal make-up look. 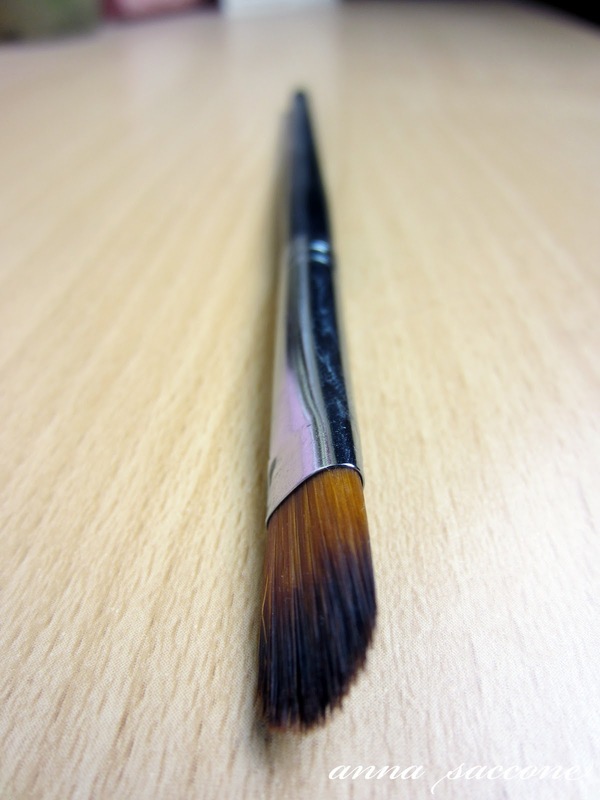 You can also use it on its tip to apply colour into the crease and blend as it's super fluffy! 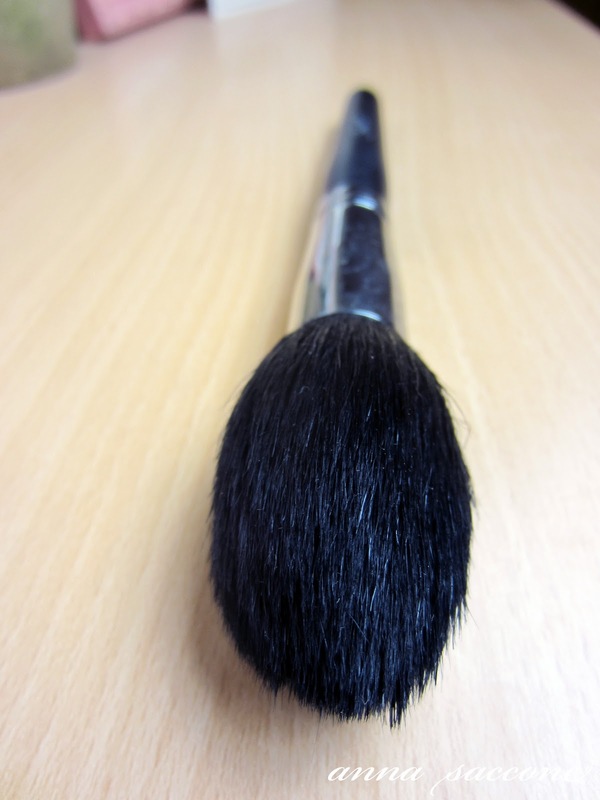 This is my favourite concealer brush as it's a lot denser and thicker than the regular ones. I feel like it's easier to blend the product into my skin and especially around the under-eye area. Could also be used to pack on cream eyeshadow base to the lid. 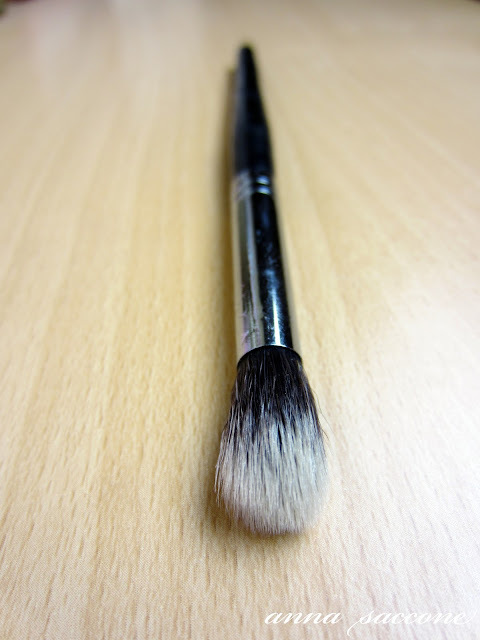 I used this to blend my eyeshadow and also to apply highlight to my brow bone and inner corners. However you could also use this to apply highlight to the face or concealer to the under-eyes. 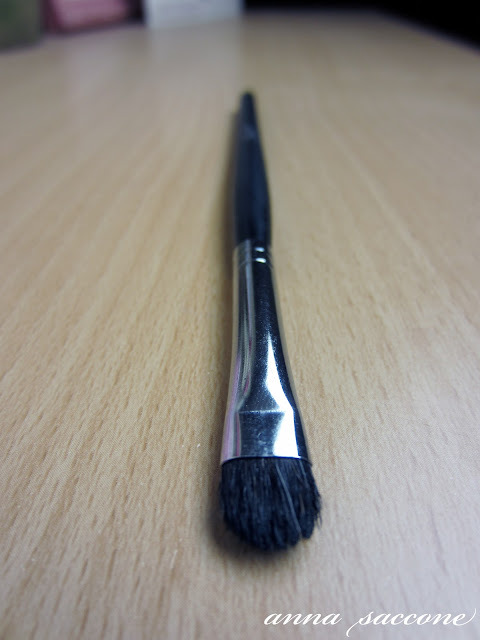 This is THE BEST brush for applying crease colour to the lids because of the defined tip/point which makes it extremely easy to get a "cut crease" effect. In this case, I actually prefer the pink brush set as the bristles on this angled eyebrow brush are a little too harsh and coarse for me. 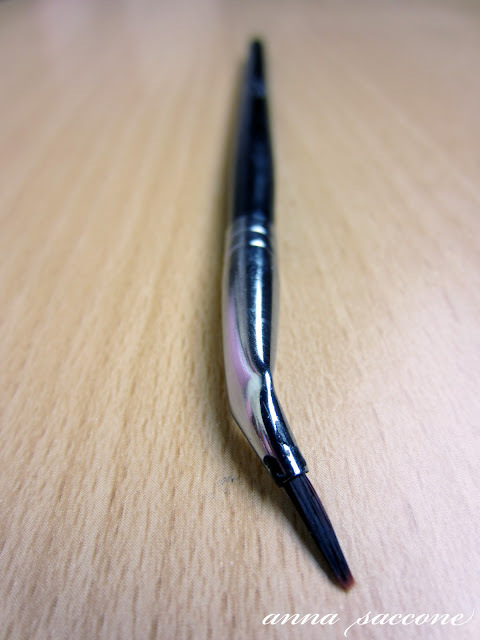 I prefer the dense, softer bristles on the pink eyebrow brush however the spoolie does come in handy for grooming brows and it's pretty cool that it's double ended. 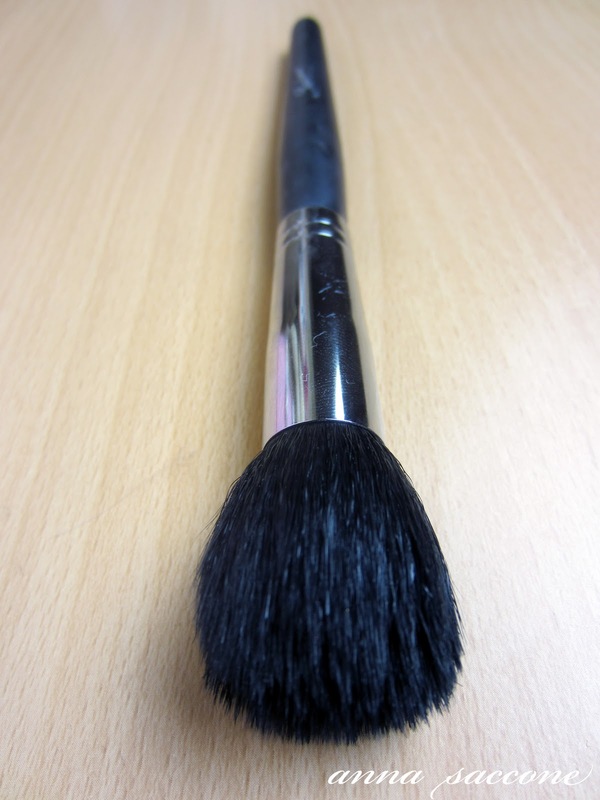 Honestly, this brush saved my life on my wedding day. Eyeliner has never been my forte, especially gel or liquid liner and a shaky hand on one of the most important days of my life was definitely not helping things. 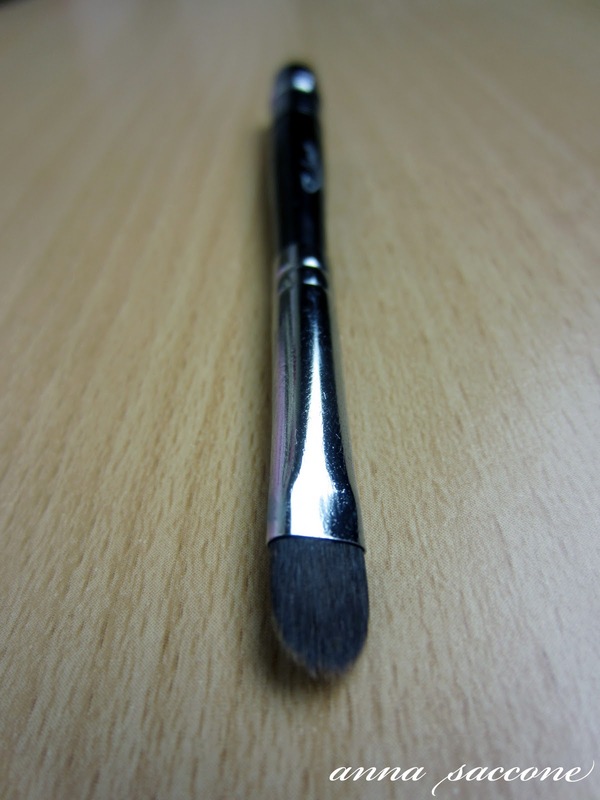 But this brush makes it SUPER easy to get into all the corners and apply a thin, defined line to the upper lashline. 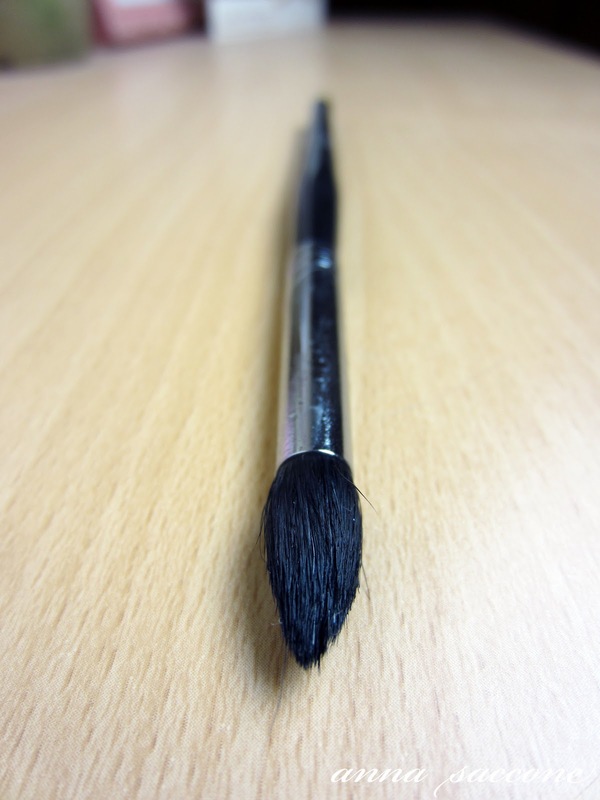 I haven't really gotten much of a chance to use this yet, however I imagine it would be great for smudging colour onto the lower and upper lashline as well as highlighting the inner corners! Again, I haven't gotten the chance to make much use of this brush yet - probably because I've been too busy using the bent eyeliner brush instead! 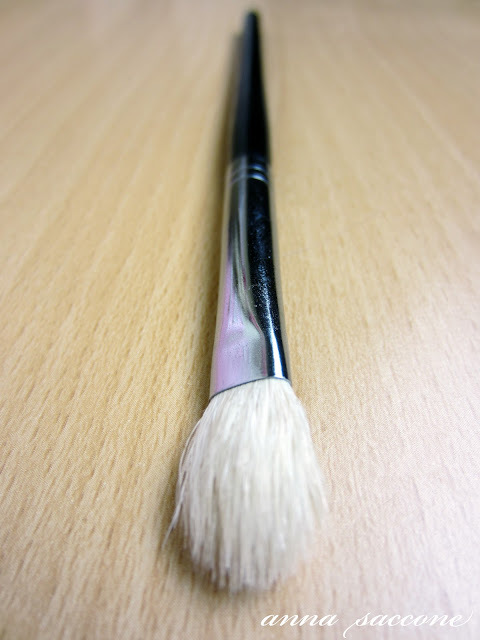 This would be perfect for applying winged liner though, and the bristles are very compact and thin making it just right for getting into any small spaces. 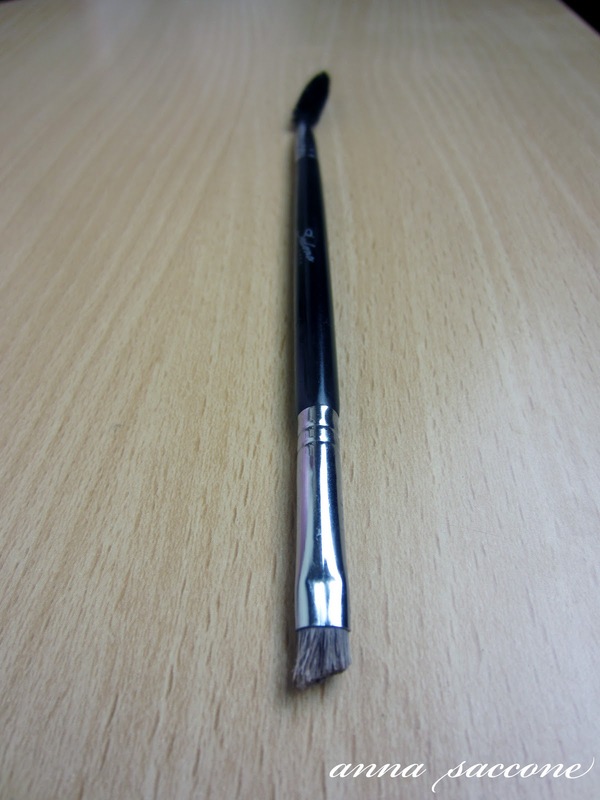 I honestly way prefer this to the standard thin lip brush, as I think this one gives a much better and fuller application. This was a must-have in my wedding clutch! The Vortex Brush Set is available from the Sedona Lace website for $79.95. 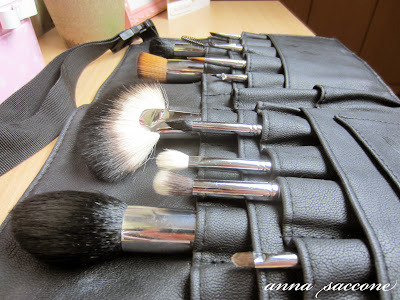 I can honestly say that I thoroughly recommend the set, especially for someone who is more advanced at make-up application and would enjoy a more professional set. If you do decide to purchase these brushes, or anything else from Sedona Lace, don't forget you can get $4 off your purchase by using my promo code: THESTYLEDIET.